NBA living-legend LeBron James appears to be the real deal. And I’m not talking about his on-the-court abilities, which are justifiably considered among the greatest of all time, or even his acting credentials (I dare you to watch his movie cameos and declare him un-funny), which are quite good. I’m talking about his wine chops. Or, at least, his tastes when it comes to selecting wine (or drinking the wine that gets selected for him, maybe?). Now, despite my near-endlessly professed love for the six-time Superbowl Champion Pittsburgh Steelers, the world of professional sports doesn’t often cross our vinous paths here at 1WD; but I was asked by SBNation writer Tim Cato to provide my thoughts on some of the wines featured by James in one of his recent Instagram posts. 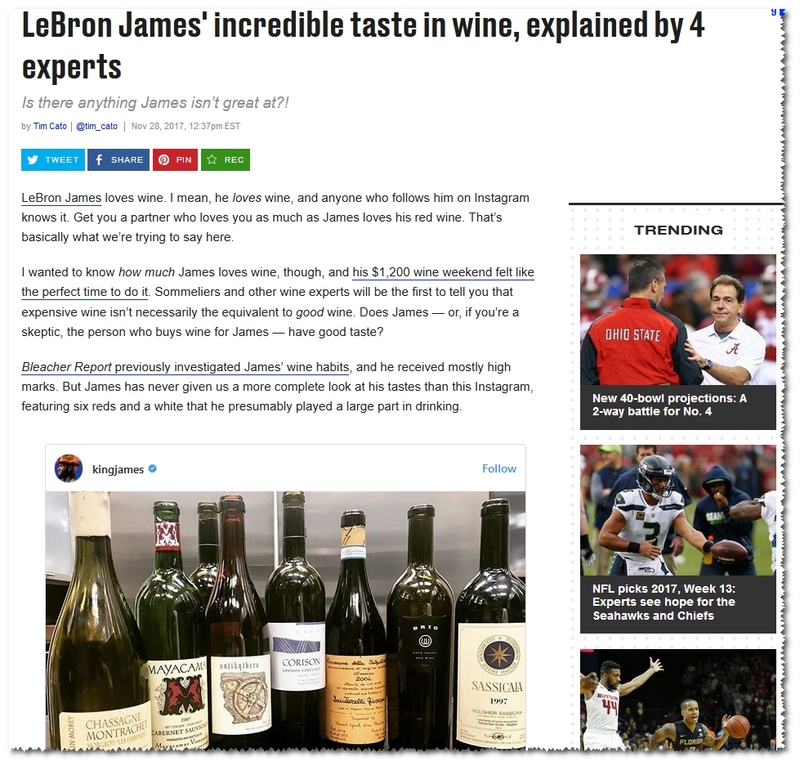 Said thoughts on this undeniably, incredibly important matter are included alongside those of winemaker Randall Grahm, writer Meg Houston Maker, and hospitality professor Dr. Han Wen in Cato’s article, which you can read at https://www.sbnation.com/2017/11/28/16710156/lebron-james-wine-incredible-taste-experts-agree. The TLDR version: James’ picks are legit. 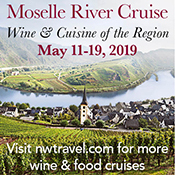 They include an `07 Mayacamas Cab, a pretty killer Chassagne-Montrachet, and one of Cathy Corison’s Kronos reds. But you can check out our quoted ramblings and decide about James’ wine-picking prowess yourselves.